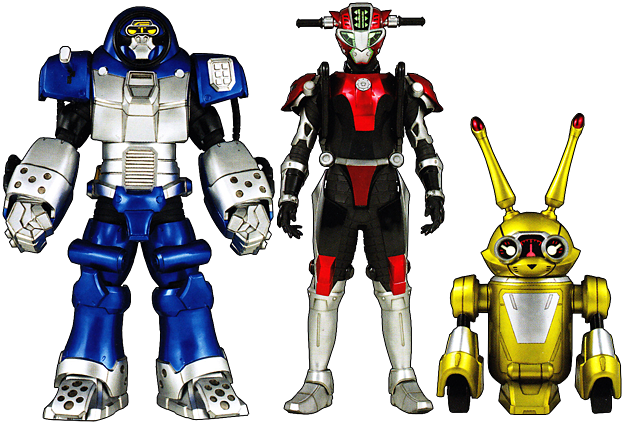 The Beast Bots are the Rangers’ Tactical Companions. Their circuits are infused with animal DNA and they also function as the control consoles of the Zords. The Beast Bots can control their Zord on their own without a pilot. Info: Cruise is a little forgetful and will forget his own name. He can transform into a motorcycle for Devon. Cruise function as the control console for the Beast Racer Zord. Info: Smash likes hugs. Smash function as the control console for the Beast Wheeler Zord. Info: Jax hates being called ‘cute’. Jax function as the control console for the Beast Chopper Zord.